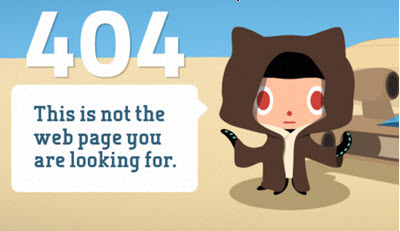 There's a little T-Rex on the page, designed in 8-bit, monochrome graphics style. As I found out just today, this little critter is known as the downasaur. Haha, get it? It's a dinosaur that tells you your connection is down. I happened to come across it when reading about a technology that always works, even if you're offline. ("Reliable - Load instantly and never show the downasaur, even in uncertain network conditions.") I was struck that the reference was used without quotes or italics, which suggests that the writer expects a term to be a well known. None of this is new, just new to me. (The game was added in 2014; you can read an interview with the creators on the Chrome blog.) There's apparently no official name for the game. The downasaur reference that I ran across is from 2017, and might have been coined internally at Google and has since leaked out into the world via pages like the one I was reading. I hope to investigate the name a bit more. 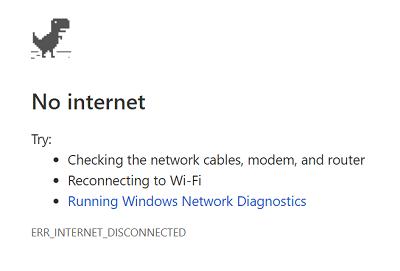 But in the meantime, I know what to call it when Chrome tells me my connection is down. And a short new-to-me origins today, although it's a kind of meta one. For some reason I got curious about where we got the word cognate. A cognate is a word that's similar in two (or more) languages, because it comes from a common root. For example, father in English is a cognate of Vater in German; calculate in English is a cognate of calcular in Spanish. Well, it turns out that the etymology of cognate is sort of right there in the word. It comes from Latin co ("with") and gnatus ("born"). The gnatus part is related to words in English like genesis, generate, natal, nascent, and a bit further afield, genre, gonad, native, and pregnant. A productive root indeed. We could have a discussion, I suppose, about the -a- in the middle of downasaur and why it isn't an -o-. If you don't want to disconnect your computer just to try this, enter chrome://dino in the Chrome address box.